Tonight Watson claimed the Jeopardy title in a three night exhibition match against Ken Jennings and Brad Rutter. Some have called it as man vs. machine, and the machine won. My feeling is that humankind has won. 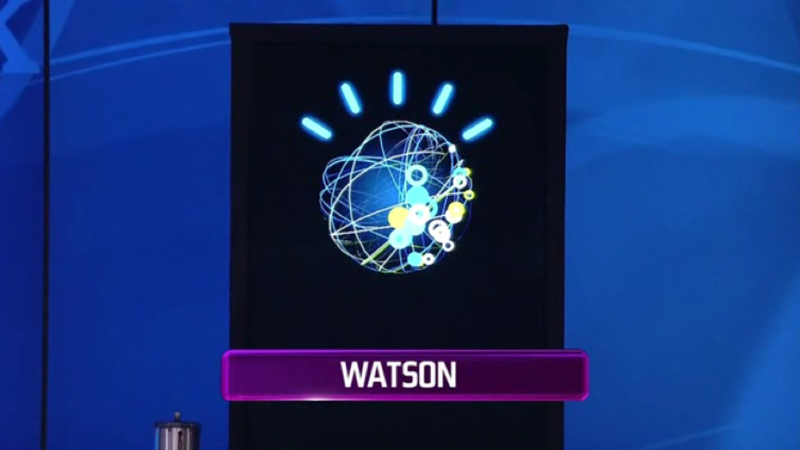 Unless Watson's middle name is Skynet and it became self-aware then everything it knows comes from the human mind. What IBM has done is truly an accomplishment for all of us and I was very impressed with this next step towards artificial intelligence. There is still a long way to go as apparent by how it answered some questions. I have also become more aware of how we think, and that the human brain is even more complex than our brains can understand. If Watson is not truly more intelligent than a human how did it win? My thought is because it does not have one person's smarts, but many peoples. It has the cumulative knowledge and facts from all of us (past and present). The competition was more of a person verses human kind. In addition it is a game and there was a clear disadvantage to Brad and Ken when it came to buzzing in. Still they held there own and Ken was neck and neck with Watson tonight. The final cumulative totals were $77,147 (Watson), $24,000 (Ken), and $21,600 (Brad). Watson seems to really like the number 7 based on the score and its bets! Overall it was fun to watch and no one was humiliated. The future applications of this technology are vast. Humans still reign as the masters even though Ken wrote "I for one welcome our new computer overlords” as part of his Final Jeopardy answer.